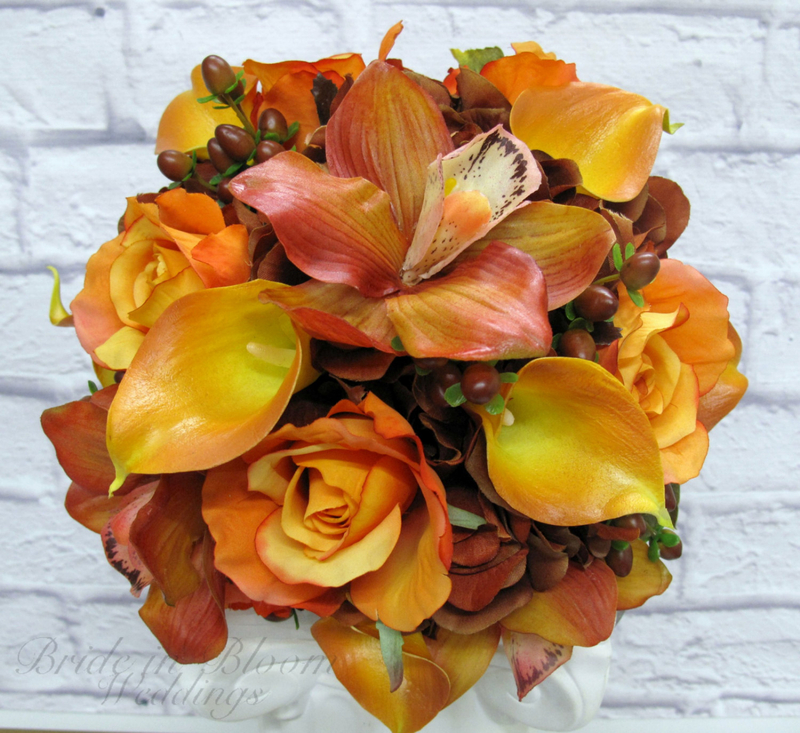 A vibrant presentation of oranges & browns in fall wedding bouquet. 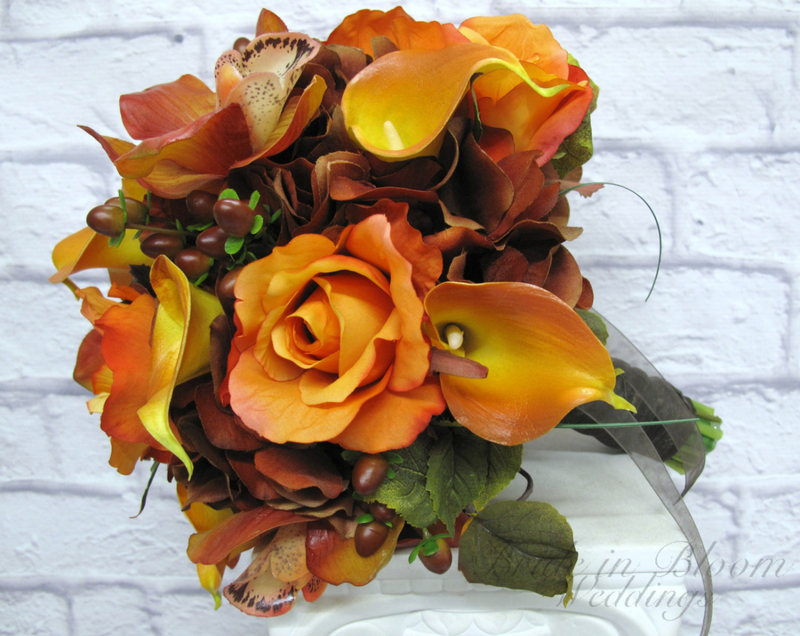 The real touch callas & orchids are soft to touch and look so real, you are sure to love them. 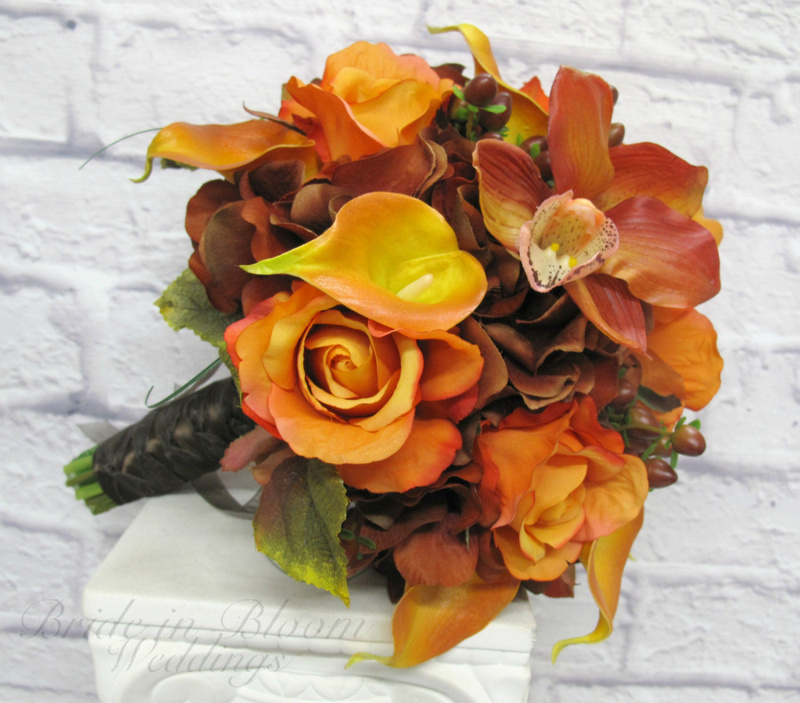 There are 9 orange yellow real touch calla lilies, 4 orange red orchids, orange roses, rust brown hypericum with rustic brown hydrangea and curly willow, vine and grass to make this stunning bouquet. 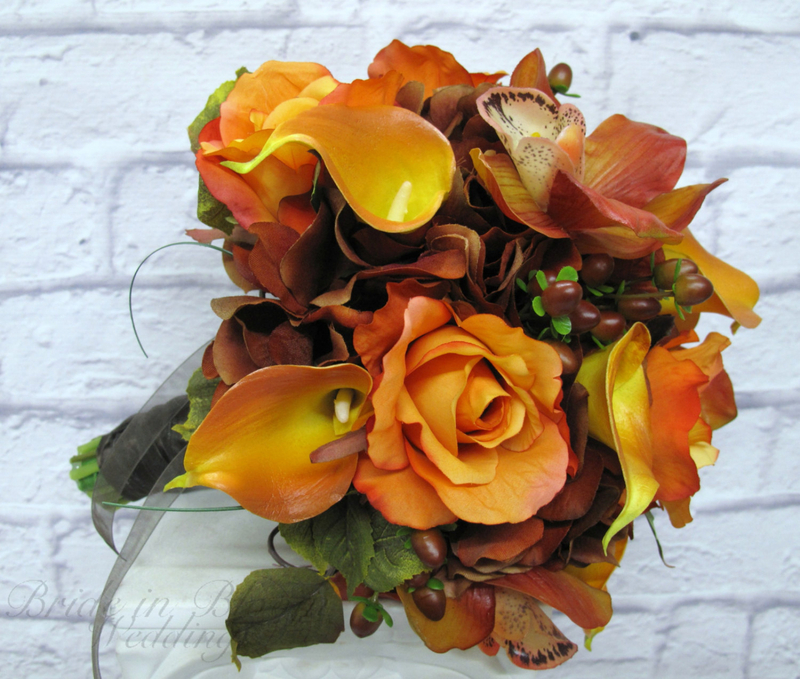 Handle treatment is wrapped with a brown satin ribbon and a brown shear twist overlay ribbon. 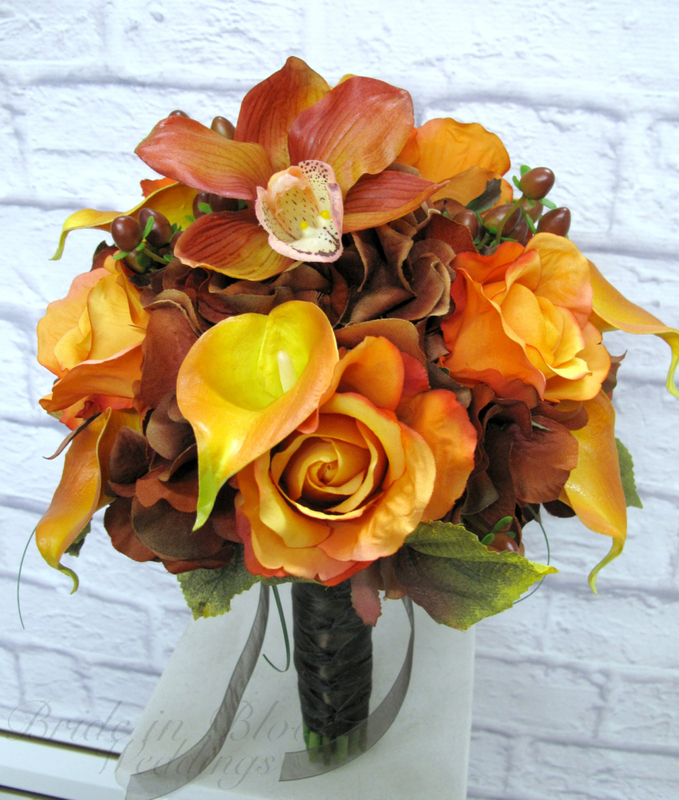 Wedding bouquet measures 10" ( 25 cm ) wide by 12" ( 30 cm ) high.